Our survey closed Sunday 17 June. A big thanks to everyone who took a few minutes to fill it out. We are now entering and analysing the data from over 500 surveys received and will publish a snapshot of the results on this website soon. 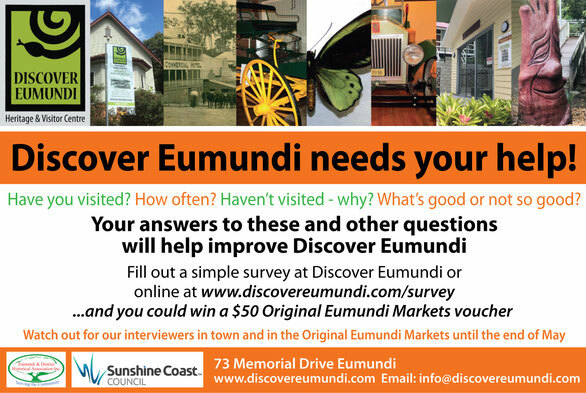 Once all the data is entered we will draw the winners for the $50 Original Eumundi Market vouchers. If you included your email address on the survey you are in the draw for one of the vouchers. Winners will be notified via email and results published in our next emailed Newsletter. Not on the mailing list? Sign up at the bottom of this page to stay in touch.